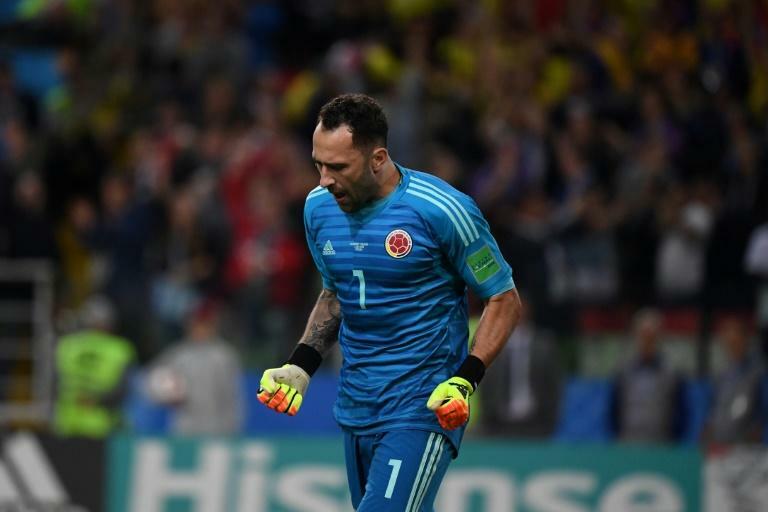 Serie A runners-up Napoli signed Arsenal goalkeeper David Ospina on a season-long loan, Simone Zaza completed a move from Valencia to Torino and Gervinho returned after a spell in China to Parma just before the transfer window closed in Italy on Friday. Cristiano Ronaldo's 100 million euro move from Real Madrid to champions Juventus topped the summer spending spree with over one billion euros splashed out in Italy, second only to the English Premier League. The final day of transfers saw promoted Parma secure the return to Italy of former Arsenal and Roma winger Gervinho who left the capital for Chinese club Hebei China Fortune in January 2016. The 31-year-old Ivory Coast international has signed a contract until 2021 with the Serie A newcomers. Following the departure of Pepe Reina to AC Milan, Napoli signed their third goalkeeper of the summer with Ospina on loan from Arsenal, joining Orestis Karnezis and Alex Meret from Udinese. Ospina, 29, joined the Gunners in 2014 from Nice and made 70 appearances, winning the FA Cup twice. Napoli will have the option to make the deal permanent once the loan expires. AC Milan completed the signings of Spanish winger Samu Castillejo and Uruguayan midfielder Diego Laxalt, with France international midfielder Tiemoue Bakayoko also officially presented at the San Siro. "We have made eight new signings and we are convinced we have handed (coach) Rino Gattuso a younger and stronger squad than last season's," said AC Milan president Paolo Scaroni. Milan splashed out over 200 million euros ($231 million) on players last summer but finished sixth in Serie A and failed to qualify for the Champions League. The club was taken over by US hedge fund Elliott last month after the Chinese owners of the Italian giants failed to repay debts. Despite spending considerably less than a year ago, the northerners -- coached by former Italy World Cup winner and Milan midfielder Gattuso -- have been one of the most active Serie A clubs on the market. A sign of the direction the club wants to take was the appointment of former players Leonardo, as sporting director, and Paolo Maldini as sporting strategy and development director. Leonardo, who won the World Cup with Brazil in 1994, and 50-year-old Maldini are part of Milan's attempts to restore the club to past glories having finished no higher than sixth in Serie A since 2013. Milan started their summer recruitment drive by signing Argentina striker Gonzalo Higuain on loan from Juventus in a three-player swap deal that saw Leonardo Bonucci return to Turin with Mattia Caldara moving in the other direction. Gattuso described Bakayoko's arrival from Chelsea on a five million euro season-long loan move with a 35 million-euro option to buy as "another important signing in the club's new era". "Milan won so much on an international level and in terms of history. I wouldn't want to be at any other club," said the 24-year-old Bakayoko. Spaniard Castillejo, 23, agreed a permanent deal to leave Villarreal, with Laxalt -- who played at the World Cup -- arriving from Genoa. Carlos Bacca, meanwhile, returns to Villarreal after scoring 18 times for Milan during a loan spell last season, with Italian forward Gianluca Lapadula moving to Genoa on a permanent basis. Torino were the big mover of the final day with Italian internationals Roberto Soriano and Simone Zaza on loan from Villarreal and Valencia respectively and Koffi Djidji loaned from Nantes. As the clocked ticked before the transfer window shut at 1800GMT promoted Frosinone signed Costa Rican forward Joel Campbell from Arsenal with Nigerian centre-back William Troost-Ekong agreeing terms with Udinese from Turkish club Bursaspor. Cagliari signed Estonia defender Ragnar Klavan from Liverpool with Mauro Burruchaga -- son of Argentina 1986 World Cup winner Jorge Burruchaga -- arriving at Chievo from River Plate.